A year ago, Net-a-Porter invited some shoppers to join their insight panel. I signed up and filled out a couple questionnaires. (I hope I was able to give some insight on semi-fashionable engineers.) Well, last week they sent me a gift card for participating! 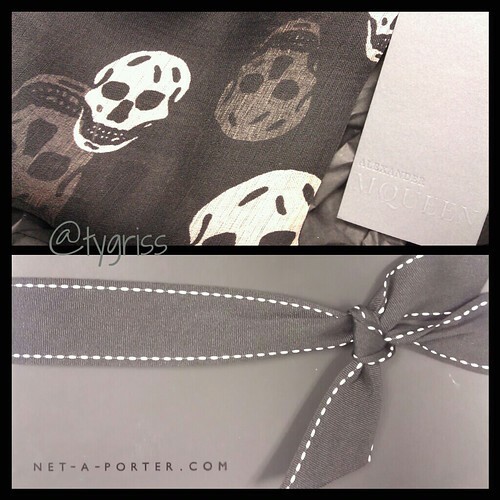 So of course I had to get something off my wishlist: an Alexander McQueen Skull Scarf! I think scarves have to be my most favorite accessory. They're so comfortable and can be worn with almost anything. This one will fit nicely alongside my current collection.